One way to raise Americans’ wages is to increase the minimum wage. Today, a range of policy proposals to raise minimum wages at the federal, state, and local levels have proliferated. Many of them seem extraordinarily ambitious, but this is primarily because the economy has grown so unbalanced in recent decades. Had wage growth been equitable and strong in recent decades, today’s minimum wage would be far higher. 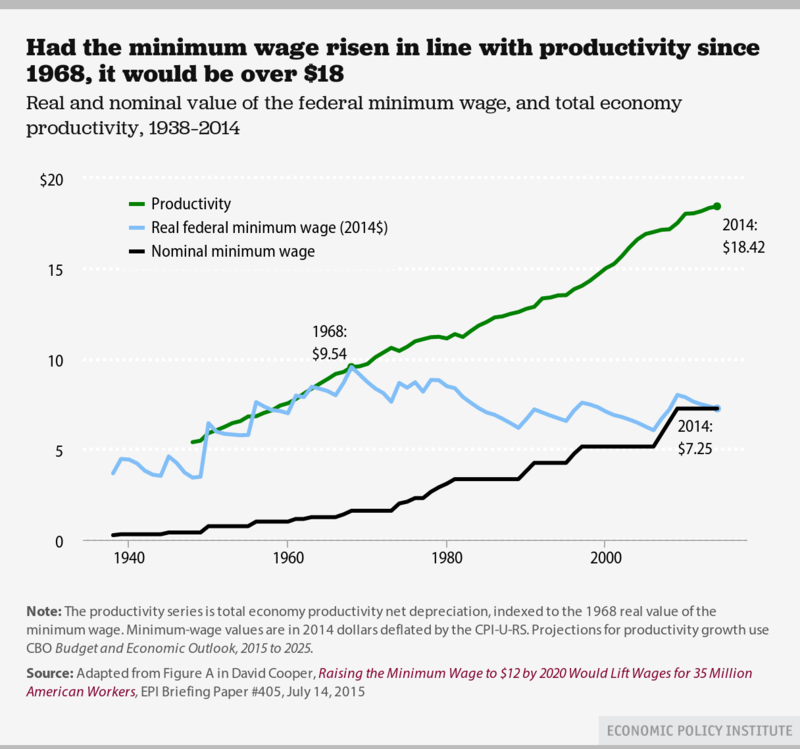 For example, had the minimum wage kept pace with productivity gains after 1968, as it did from its enactment in 1938 to 1968, it would stand at $18.42 instead of $7.25. And had the minimum wage maintained its peak inflation-adjusted value (reached in 1968), it would be $9.54. But unfortunately, wage growth hasn’t been distributed equitably in recent decades. This is because a multitude of policy decisions have sapped low- and moderate-wage workers’ power to bargain with their employers for higher pay. Restoring bargaining power to American workers will similarly require a range of policies. A good place to start is raising the federal minimum wage. In fact, increasing it to $12 by 2020 would boost wages for over 35 million workers—one-quarter of the American workforce. In over half a century of extraordinary work in film, not to mention more than a little bit of raising hell, his work as Director of Photography on John Sayles’ masterpiece on union efforts to organize the West Virginia coal mines, Matewan, was among his very best.